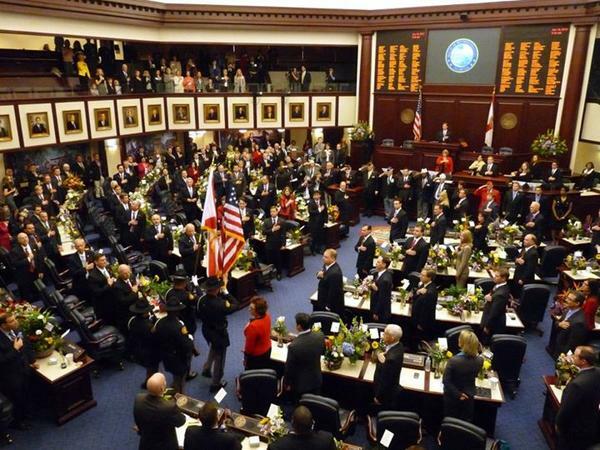 Four more newcomers to the Florida House have opened campaign accounts as an initial step toward running for re-election in 2020, according to the state Division of Elections website. Rep. Wyman Duggan, R-Jacksonville, opened an account this week in Duval County’s House District 15. Duggan received nearly 51 percent of the vote as he captured an open seat in the Nov. 6 election. Another Republican opening a campaign account for 2020 was Rep. Tommy Gregory, a Sarasota Republican who was elected to an open seat last month in House District 73, which is made up of parts of Sarasota and Manatee counties. Gregory received about 61.9 percent of the vote in winning the seat. Among Democratic newcomers, Rep. Delores Hogan Johnson, D-Fort Pierce, has opened a campaign account to defend her seat in 2020 in St. Lucie County’s House District 84. She received 51.4 percent of the vote in winning the open seat Nov. 6. Meanwhile, Rep. Cindy Polo, D-Miramar, has opened an account to run again in House District 103, which is made up of parts of Broward and Miami-Dade counties. Polo received about 53.3 percent of the vote in winning the seat last month. Also in recent days, two second-term House members --- Rep. Mel Ponder, R-Destin, and Rep. Amber Mariano, R-Hudson --- have opened accounts for 2020 campaigns. Ponder represents Okaloosa County’s House District 4, while Mariano represents Pasco County’s House District 36. After an election in which voters approved 11 constitutional amendments, a Republican House member Wednesday filed a proposal aimed at making it harder to pass future ballot measures. The proposal (HJR 57), filed by Rep. Rick Roth, R-Loxahatchee, would require support from two-thirds of voters for passage of constitutional amendments. That would be up from the current 60 percent threshold. A proposal that would allow law enforcement officers to pull over motorists for using cell phones while driving will be back before lawmakers in 2019. Sen. Wilton Simpson, R-Trilby, has filed a measure (SB 76) called the “Florida Ban on Wireless Communications Devices While Driving Law,” which would prohibit texting, reading data or talking on wireless handheld devices while behind the wheel.